If you need a carpet repair company, you are in the right place. There's nothing quite as tacky and annoying as carpet that isn't properly stretched. When carpet isn't stretched correctly it can wrinkle up, lump up, and have creases that not only look bad but can be a tripping hazard. Getting your carpet professionally stretched can alleviate that problem and make your carpet look so much better. 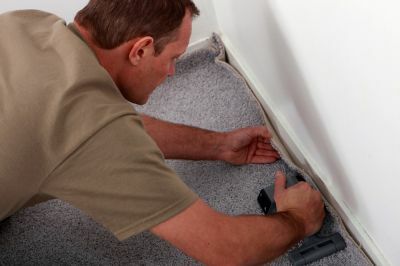 Our carpet repair experts can stretch and repair any type of carpet. So no matter if you have Berber, Shag, loop pile, wool, nylon, flat, textured, twist, Frieze, patterned, or any other type of carpet, we can stretch it and repair it for you. All you need to do is fill out our simple contact form, tell us a little bit about your carpet, and we will get back to you as soon as possible with a free custom quote. Carpet Stretching - Select your State.